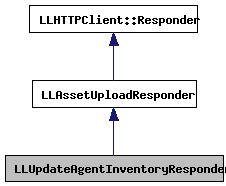 Definition at line 70 of file llassetuploadresponders.h. Definition at line 308 of file llassetuploadresponders.cpp. 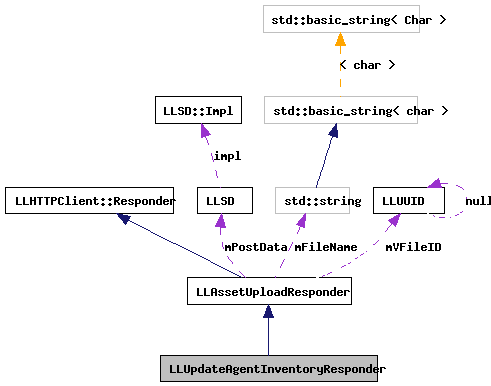 Definition at line 315 of file llassetuploadresponders.cpp. Definition at line 322 of file llassetuploadresponders.cpp. References LLSD::asString(), LLSD::asUUID(), LLAssetType::AT_NOTECARD, LLPreviewLSL::callbackLSLCompileFailed(), LLPreviewLSL::callbackLSLCompileSucceeded(), LLPreview::find(), LLInventoryModel::getItem(), LLInventoryObject::getName(), gGestureManager, gInventory, gVFS, LLGestureManager::isGestureActive(), LLInventoryType::IT_GESTURE, LLInventoryType::IT_LSL, LLInventoryType::IT_NOTECARD, LLInventoryType::IT_WEARABLE, llendl, llinfos, llwarns, LLAssetUploadResponder::mPostData, LLAssetUploadResponder::mVFileID, LLInventoryModel::notifyObservers(), LLPreviewGesture::onUpdateSucceeded(), LLVFS::removeFile(), LLGestureManager::replaceGesture(), and LLInventoryModel::updateItem().